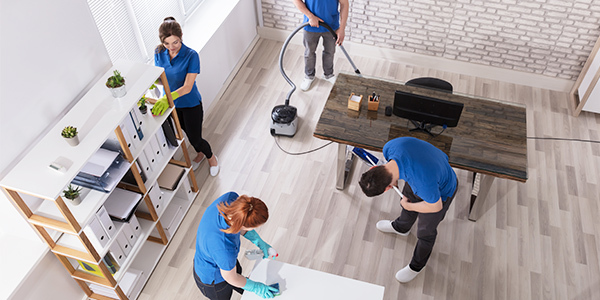 At Cleantec, Our Employees Are Our Business. We are very proud of our "service-driven" culture that begins at the top of our organization and is reinforced in every aspect of our business. We understand that when our employees feel supported and happy it shows in the work that they do for our Customers and proves we are a service-driven culture. We are very proud of our employees, and we want to shout it as often as we can. Even though our team members often work independently, we regularly communicate instances of employee excellence by our monthly "Employee Newsletter". We recognize our employees and the excellent work that they perform through our employee of the month program, ticket recognition program and employee appreciation events. 4 Phase 90 day On-Boarding Program with Field "hands-on" and Classroom Training. Scheduled Performance Reviews at 90 days and Yearly. Direct deposit into Checking Account, Savings Account or Pay Card. Electronic Pay Statements and W-2. Access to Weekly Pays via Mobile App. Free Cleantec "Green" Cleaning Products. Health Insurance: Medical, Dental & Vision.